Hazardous pharmaceutical waste is a growing concern for all types of healthcare facilities, including pharmacies, hospitals, and clinics. It isn’t limited to expired pharmaceuticals, either; vials and bags containing trace quantities of toxic substances, protectives gear, spilled liquids and pills, and even packaging can be classified as pharmaceutical waste. Different types of pharmaceutical wastes carry different risks and are governed by different sets of regulations. If you have any questions in regards to hazardous pharmaceutical waste or you would like a no obligation disposal price quote, call PegEx at 800-936-2311. What is Hazardous Pharmaceutical Waste? Hazardous pharmaceutical waste is governed by the strictest set of regulations under the Resource Conservation and Recovery Act (RCRA). Any pharmaceutical waste that is deemed hazardous must be handled just like any other hazardous waste you may have. Fortunately, most pharmaceutical waste is not considered hazardous. In fact, it’s estimated that only between 5 percent and 10 percent of pharmaceutical waste meets that requirements. Some examples of hazardous pharmaceutical waste include physostigmine, warfarin, and chemotherapeutic agents are examples of relatively common pharmaceuticals that are regulated as hazardous. What is RCRA pharmaceutical waste? Hazardous waste is any waste with properties that make it dangerous or are capable of having a harmful impact on human or environmental health. It can be generated from a vast variety of sources, including pharmaceutical waste. The Resource Conservation and Recovery Act (RCRA) gets more specific in defining hazardous waste through four lists: P, U, K, and F. When it comes to hazardous pharmaceutical waste the P and U lists are relevant and the ones you want to pay the most attention to. Drugs such as warfarin, nicotine, lindane, and cyclophosphamide. Additionally, many drugs meet the definition of the different characteristic wastes (ignitability, corrosivity, toxicity, and reactivity) which all must be managed as hazardous waste. What is waste segregation at source? Waste segregation at source is the process of separating different wastes (e.g. pills, powders, liquids, etc. ), by their final method of disposal, at the time they expire or can no longer be used (e.g. patient discharge). This step is vital in ensuring your program is fully in compliance with all state and federal laws. If you need assistance with this portion of the process, Hazardous Waste Experts would be happy to assist with how each different waste needs to be segregated and disposed of by any and all regulations in your area. The pharmaceutical industry is one of the fastest growing and most profitable industries in the United States. Many large pharmaceutical companies also produce products for animals. A 2009 NRDC study estimated that around 27.8 million pounds of antibiotics, alone, were sold in the United States throughout 2007. Without regulations advocating good disposal practices, these contaminants will make their way into the global aquatic environment and cause issues for humans, as well. How do I go about land disposal of hazardous pharmaceutical waste? From the minute hazardous waste is generated onward, it’s subject to land disposal restrictions. If a generator produces more than 220 pounds (or 2.2 pounds of acute hazardous waste) of hazardous materials in a month’s time, they must identify the type and nature of the waste. They also must determine the applicable course of treatment prior to land disposal. Generators producing less than these amounts of acute hazardous or hazardous waste are exempt from LDR requirements, as are waste pesticides and container residues which are disposed of by farmers on their own land, and any newly-listed wastes which the EPA has yet to make a determination on. Why do I need to properly dispose pharmaceuticals? Hazardous Waste Experts is the choice for fast, compliant, low-cost and sustainable solutions to your hazardous pharmaceutical waste disposal challenges. 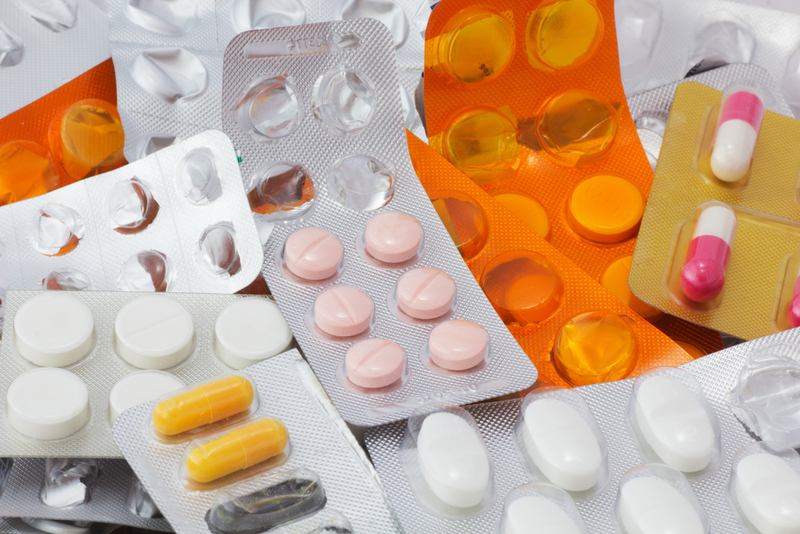 We are experts in disposal of pharmaceutical waste, including listed wastes (F-List, K-List, P-List, and U-List). We provide services across the entire United States. Our team of experts and specialists, coupled with a broad array of partners, make us the number one choice for on-call hazardous pharmaceutical waste disposal services. We handle all waste types from industrial, commercial, institutional, and healthcare facilities. Some specific pharmaceutical wastes we service are: arsenic trioxide, chloropropionitrile, cyanide salts, epinephrine, warfarin, and more.